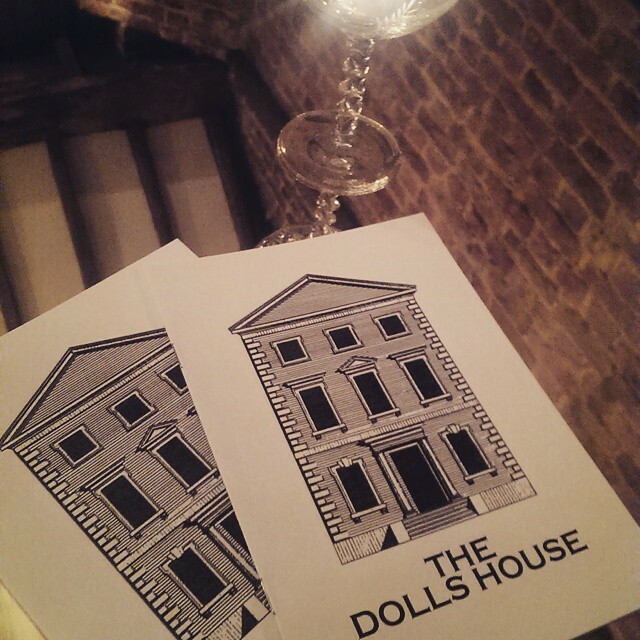 In a fantastic display of impermanence, the exit of Islington’s House of Wolf and Hoxton Square’s Dead Doll’s Club means the latter possesses the former’s space – manifesting as the all new Dolls House! Doll House. Dolls House. Doll’s House. Confusing syntax. Now before we go further, I’d like to clarify that Highball Hoodoo never had any intention of covering members clubs, since the Hoodooist’d like all our reviews to be of venues that are easily accessible. Spaced over three floors, the ground floor public Parlour is a large open space with a stage – the launch night opened the stage up to the awesome Kansas Smittys to entertain the crowd – shame about the repetitive fire alarms. With a decent sized bar, no complaints about this space that provides us with jazz bands till 4AM. The first floor provides us with two intimate private rooms: the Drawing Room and Library. The Drawing Room is a slightly larger space than the Library, with windows open to the Islington Town Hall. Both make most of their space by eliminating décor in favour of hand-illustrated walls, which left the table divided as to whether or not we’d prefer furniture instead. The Library is where we found ourselves most comfortable, though we’d wish our bearded bartender would teach his beardless colleague the secret of stirring a cocktail without causing such a racket. Canapes were sparse, which was tragic. Finally, the upstairs member’s-area-after-dinner, the Ballroom, is a beautiful space. 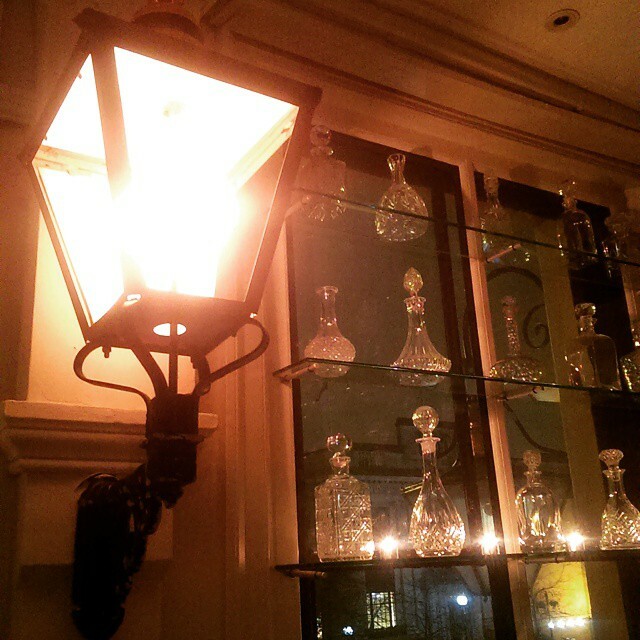 Fogged mirrors, decent seating, gorgeous chandeliers, it’s not a large space, but a stunning one. Menu-wise, options are limited (9 in total), but very decently priced. 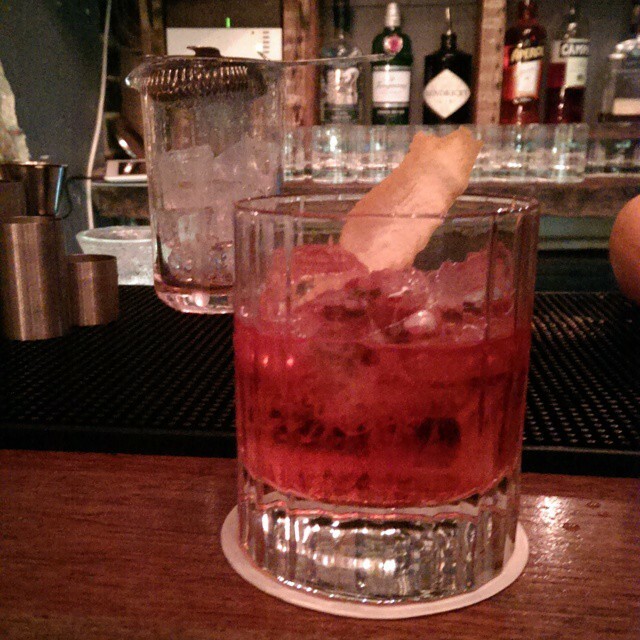 Think Negronis, Old Fashioneds, Aviations, et al – all classics. Flavour-wise, decent. Glad to see Antica Formula used in the Negronis, Old Fashioneds were – for some unfathomable reasons – only being served on the top floor bar and not in the Library. Bartenders also refuse to make any classics off menu, which is the first time I’ve ever really encountered such a philosophy. The rules here stopped making sense after a bit. Except for one bartender, service is half-hearted. Exhausted. With complete lack of interest. I sense I have been using the word ‘decent’ an awful lot. Because that’s exactly what the Dolls House is. Decent. A *shrug* and pout. A friend on the top floor caught a total of one canapé. The sadly lacking number of late night cocktail bars in the area means that your major options past midnight is either the Dolls House or Pisco Embassy (Click HERE for Review!) – although past 10PM non-members expect to be charged 5 pounds for entry – don’t worry members, you can bring 3 non-member friends along. Although then I must ask – why? Other than the late night opening, there I very little I find particularly fascinating about the venue, and it’s incredibly limited menu. Some things are just… Decent. This entry was posted in Bars & Cocktails and tagged Late Night, Members, Nightcap, Party, Small Groups.